Our Pear Ginger Cereal is Drew’s all time favourite. There is just something about the combination of pear and ginger together. It’s very refreshing. With all kinds of nuts and seeds this cereal will keep you full and energized for your day ahead. The health benefits of our Pear Ginger Cereal are fantastic as well. 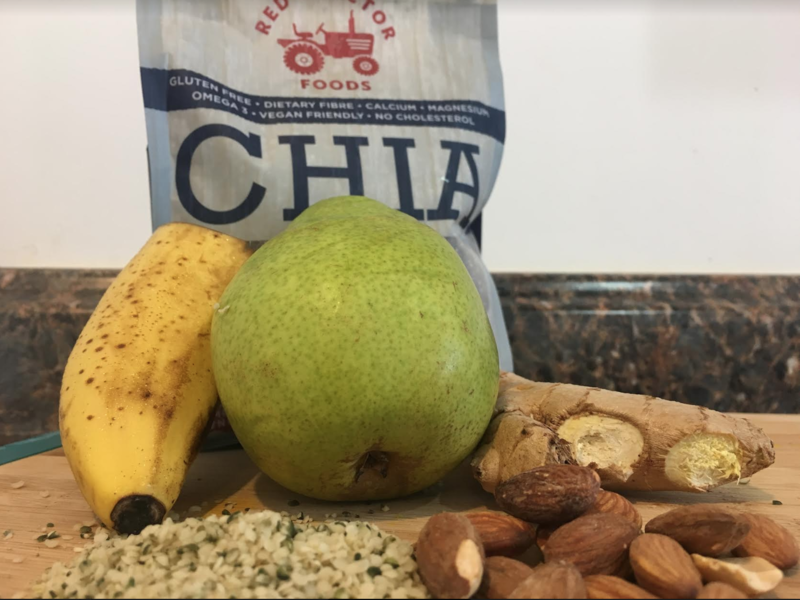 We LOVE ginger for it’s anti-inflammatory properties, banana gives us a boost of minerals, dates gives our bodies natural sugars and helps keep our taste buds happy and the nuts and seeds fuel our bodies with healthy fats. 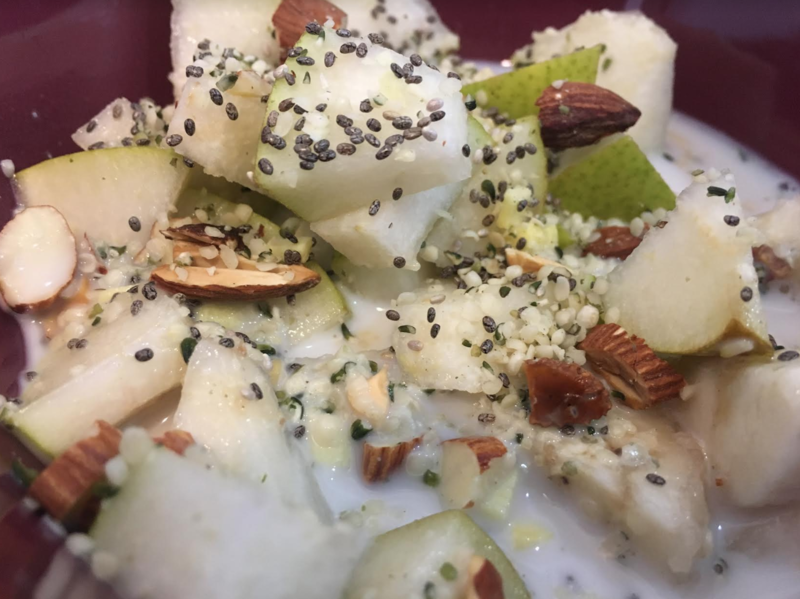 It’s an explosion of healthy goodness in this Pear Ginger Cereal and the taste will not disappoint. With simple, easy to find ingredients it will take you minutes to prepare, keep your belly happy and put a smile on your face. Tune into hear us talk about our Pear Ginger Cereal on the D&D Morning Show and be sure to scroll down for the complete recipe. Chop pear into chunks and slice banana. Place pear and banana in a bowl. Grate ginger on top of pear and banana. Sprinkle with hemp seeds, chia seeds, pumpkin seeds and nuts. Add goji berries and cacao powder if using. Remove pit from the date. 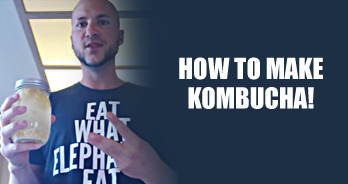 Slice into small chunks. Place on top of mixture. Pour almond milk into bowl. Stir-well to combine all ingredients. Eat right away. Get TONS more recipes in our 30 day meal plan. 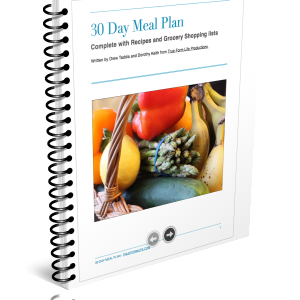 Check out more information about out 30 day meal plan here.